 We offer a wide array of professional landscape services year-round and seasonally to maintain and improve your landscape in Lake Shore, WA. We pride ourselves on is our flexibility and listening to what our customers want and what will work for them. We can usually design a maintenance plan that will fit your needs and in particular your budget. Residential Maintenance: Whether you own a home requiring a 9 month mow-only service, or a home needing 12 month, full service care, we have the tools and expertise to maintain your landscape in Lake Shore, WA. Commercial Maintenance: As the owner or manager of a commercial property, you know the value of properly maintained landscaped areas. We can help your property reach it's full potential. Pruning & Trimming: Our skilled staff provide ornamental tree and shrub trimming and pruning services for fruit trees, roses, hedges, small shrubs or large ornamental trees. Yard & Property Clean-Ups: If your landscape has gotten away from you, we can get it back to a look you can be proud of. Bark Dusting or Composting: We can apply a broad range of materials to your flower bed areas from bright red fir bark to dark black compost. Aeration & De-Thatching: We provide aeration and de-thatching services to improve the health and appearance of your turf. Backflow Testing: We provide backflow testing and repair (as necessary) for all water utilities in Lake Shore, WA. Irrigation Services: We offer irrigation installation, repair, maintenance and system modifications. Set up an appointment by contacting us today. Pagel's Landscape Maintenance has proudly worked throughout Clark County since 1977. We service properties in Vancouver, Hazel Dell, Felida, Lake Shore, Vancouver Heights, Salmon Creek, Evergreen Highway, Mt. Vista, Cascade Park, Fruit Valley, Camas, Battle Ground. Copyright © 2019 Pagel's Landscape Maintenance, Vancouver, WA.